Happy hump day friends! Who’s ready for the weekend? Lets be honest, I have been ready for the weekend since Monday morning rolled around. I swear I am a child. The closer Christmas gets, the more trouble I have focusing at work. All day I make sure I ask every single child what they want for Christmas and I get some of the best answers. Today a little boy answered, “A colorful rock. Because I love colors and I love rocks.” Duh. I freaking love Christmas. Favorite holiday, hands down, period, the end. Well, a few weeks ago I started Current Obsessions Wednesday. Here are few things that I am loving. I hope that this will inspire you try something new! Enjoy. Dare I say this, I am not a yogurt lover. I have tried over and over again to enjoy yogurt but there’s something about the sour milk taste that usually grosses me out. I have recently discovered Yoplaits plentiful greek yogurt and it is awesome! This yogurt is pre-mixed with whole grain oats, flax seed, and pumpkin seed. I’ve been adding sliced banana to it for breakfast and it is on point. The name and packaging alone got my attention. I bought this giant bag from SAMs club last month and I have been hooked! It’s a great low cal snack (35 cal per cup, what?!) and I like that it is lightly sweetened. We love getting fresh tea leaves from Teavana, but I am yet to find a calming night time tea that I love from there. I do enjoy a mug of this Sweet Dreams tea, which is a blend of chamomile and mint. I’m not sure if my dreams are sweeter after a mug of this, but I definitely feel more relaxed. I love burning candles, especially around this time of year. I picked this candle up on a random Home Goods run. That store gets me in trouble sometimes, okay most times. Does anyone else have this problem? Regardless, this was a great last minute purchase! I love the scent of this candle–it has a little spice and a little sweetness to it. I spent the afternoon/early evening with some friends from work. My face hurts and my side aches from laughing so hard! Today I was reminded of the importance of having quality time with girlfriends. Since moving to Cincinnati I feel like I have not found a solid group of girlfriends. Why is it so much harder to find close friends as an adult?! These ladies are pretty fantastic and every time we get together outside of work it’s a great time! We literally laughed so hard til we cried… or snorted. We spent the afternoon drinking wine and baking some delicious lemon cupcakes for a work event tomorrow. After multiple bottles of wine we found ourselves watching/ dancing/singing to music videos. Have you seen the new Gwen Stefani music video? #weird. I am now curled up on the couch in pjs watching the Michigan State vs Iowa football game with Husband. Tonight I am sharing a recipe for Crockpot Bourbon Chicken. I have made this several times and it is always a big hit, not to mention so easy! 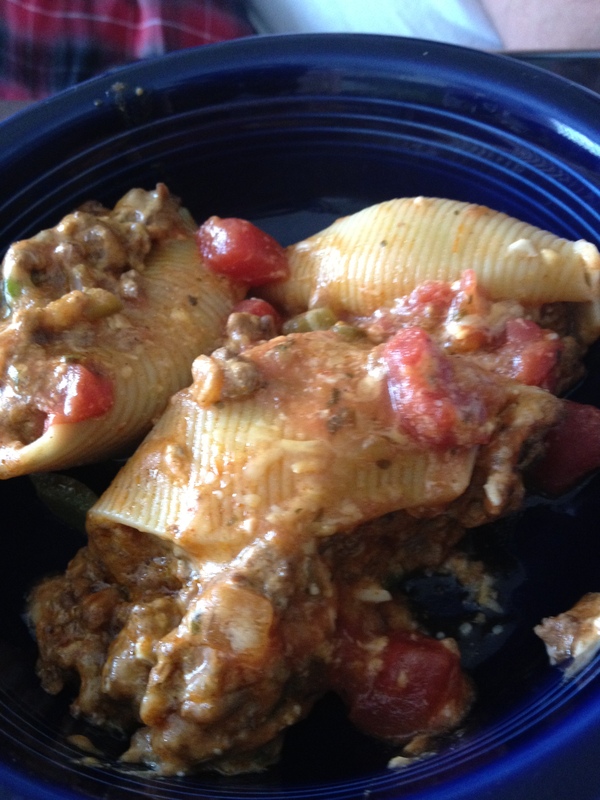 If you have followed my blog, you know that I LOVE crockpot recipes. I rely on crockpot recipes to help me get through extra busy weeks. This recipe called for 1/4 cup of bourbon. I used Bulleit bourbon because that’s what we had, but feel free to use any kind you have on hand! You really can taste the bourbon flavor in this recipe. Add this recipe to your menu this week on a day when you know you will get home late. Enjoy! 1. Mix all sauce ingredients, except for chicken and cornstarch, in a small bowl. 2. Place chicken in slow cooker, pour sauce over top. Cover and cook on low for 6-7 hours or on high for 3 hours. 3. Remove chicken and chop into bite sized pieces. Strain liquid and place over medium high heat in a small pot. Combine 3 tablespoons water with 3 tablespoons cornstarch. Whisk into boiling sauce along with 1 clove minced garlic. Stir until thickened. 4. Pour over chicken pieces in the slow cooker and stir. Serve over rice. Our thoughts and prayers go out to all of those who have been been affected by hurricane Sandy. My parents live in New Jersey and they say that the damage that has been done is unreal. I am thankful that all my family members and friends are safe. The temperature has dropped here in Ohio, its the perfect weather for a warm bowl of soup. 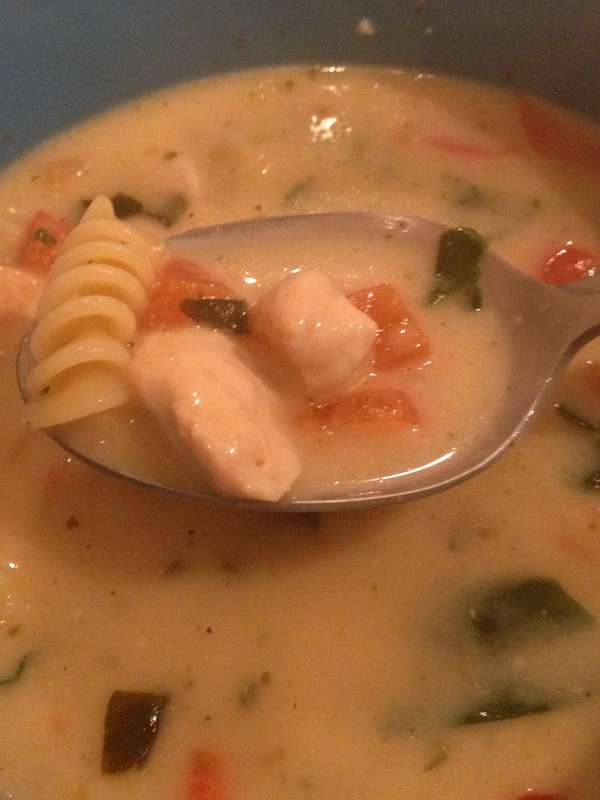 I made this soup last night and it turned out delicious! Husband was a huge fan of it too, he asked if I could make it again next week. Two thumbs up! Enjoy! 1. Cook pasta according to package directions, drain and set aside. 2. In a large saucepan, saute the chicken, spinach, red peppers, garlic powder and pepper in margarine until spinach is wilted. 3. Add broth, alfredo sauce and pesto; cook for 4-5 minutes or until heated through.Sprinkle with parmesan cheese. So many exciting things have happened over the past few days. First, I took part of the National Dental Board Exam. Taking the exam wasn’t so exciting, but being done with it is! That was brutal, thank God that is over with. Results take 3-4 weeks to arrive, BY MAIL!! Seriously? This is going to be torture. I pray that I never have to take that exam again. In other news, we added a new member to our family!! He is so so precious. 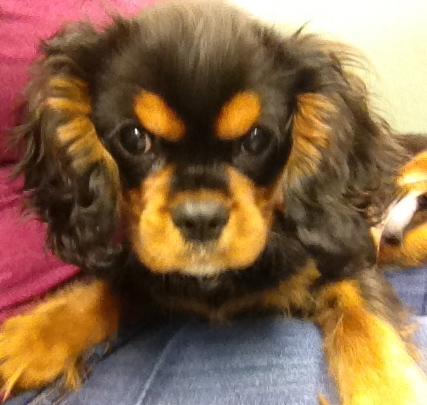 Meet Leonidas (Leo for short), he is a King Charles Cavalier. Husband got him for me as an early birthday present. 🙂 He’s the BEST. Every day while I was studying for boards I went to the pet store and played with Leo to cheer myself up. Worked like a charm! There’s just something about that puppy love that puts me in a great mood. Now on to more important things, like this chicken recipe! 1. Pre heat oven to 375. 2. Place chicken between two pieces of plastic wrap, pound chicken to about 1/4 inch thickness. Sprinkle chicken breast lightly with salt and pepper. 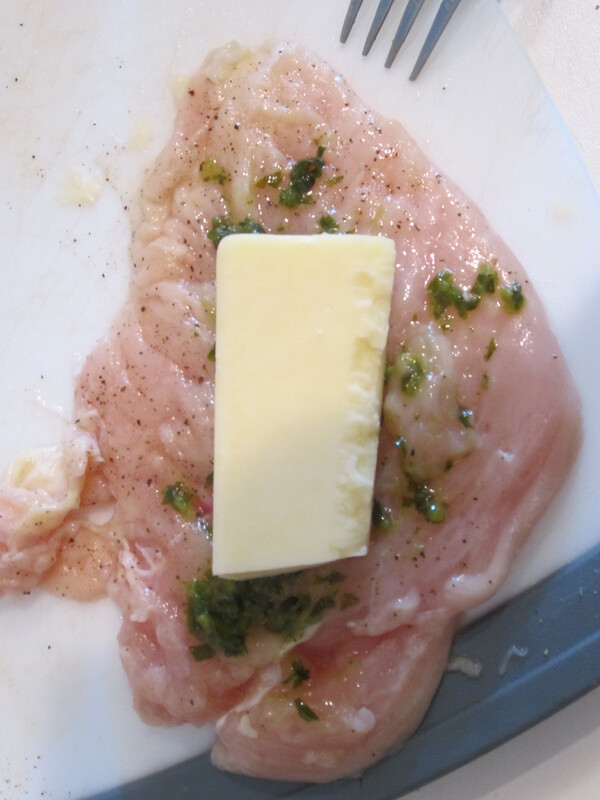 Spread 1 tsp garlic, 1 tsp of basil in center, then place cube of cheese in center of chicken breast. Fold in sides and roll up. 3. In one bowl, beat egg and 1 tablespoon milk. Place breadcrumbs in second bowl. 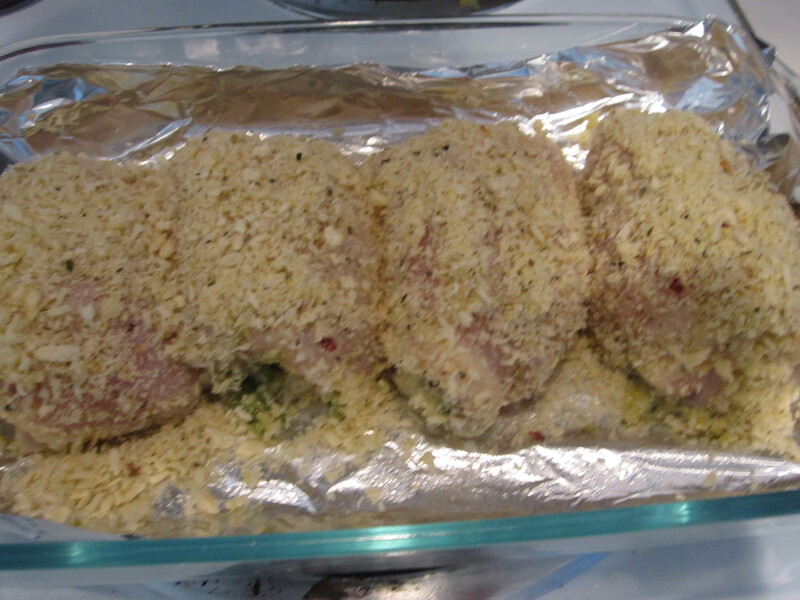 Dip each chicken roll in egg mixture then in breadcrumb. Place coated chicken in 2 quart baking dish. 4. Bake uncovered on 375 for 20-22 minutes until chicken is fully cooked. Remove from oven and allow to cool for 5 minutes before serving. 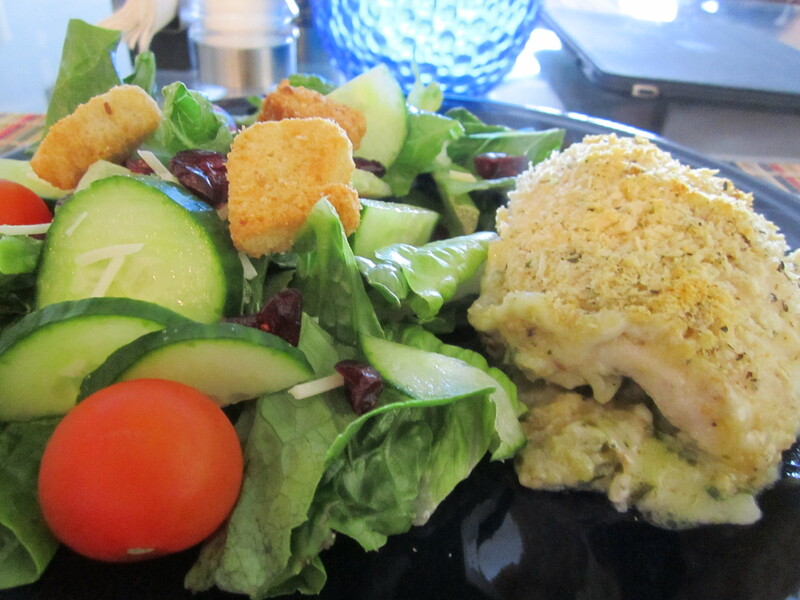 Here’s a quick and tasty baked chicken recipe I made one night this week. Turned out to be so easy and so full of flavor. We really enjoyed it with a side of roasted potatoes and vegetables. 1. Preheat the oven to 400 degrees. Grease a baking dish with cooking spray. 2. 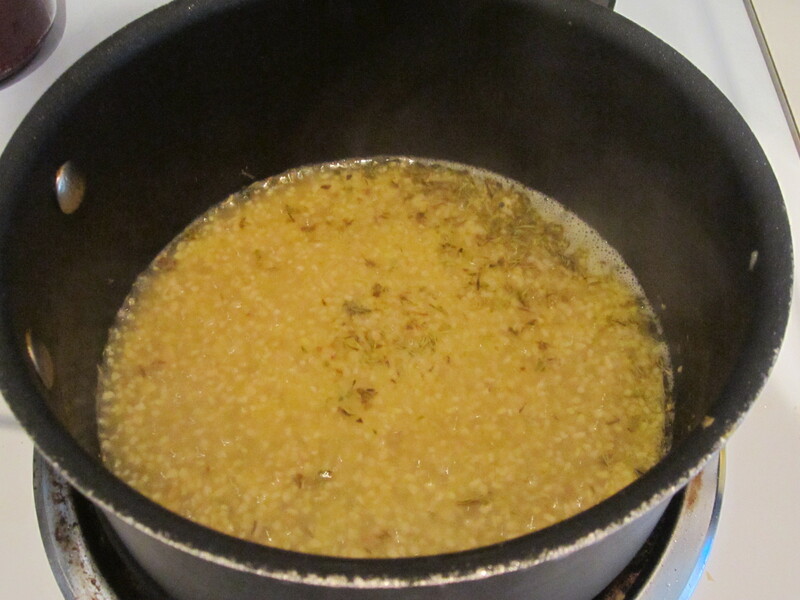 Heat the olive oil in a skillet over medium heat; add the minced garlic and cook, stirring constantly, for 1 minute, until garlic is a golden yellow color. 3. Add the chicken broth, lemon juice, lemon pepper, oregano, and thyme to the pan. Pour the mixture into the baking dish. 4. Season both sides of the chicken breasts with salt, freshly cracked pepper, and lemon pepper to taste. 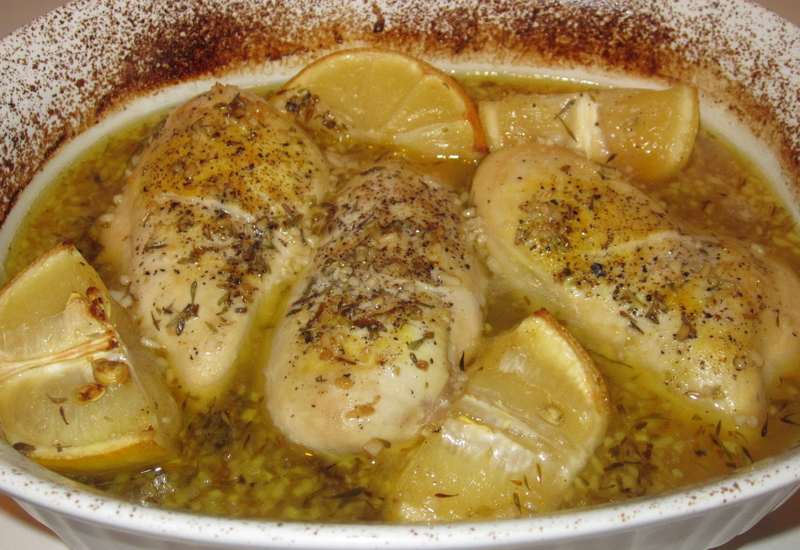 Place the chicken in the baking dish along with the lemon wedges. 5. Place into the oven and bake, basting occasionally with the garlic lemon sauce, for 30-40 minutes or until the chicken is cooked through and the juices run clear. 5. Remove from the oven and let the meat rest for 5 minutes. 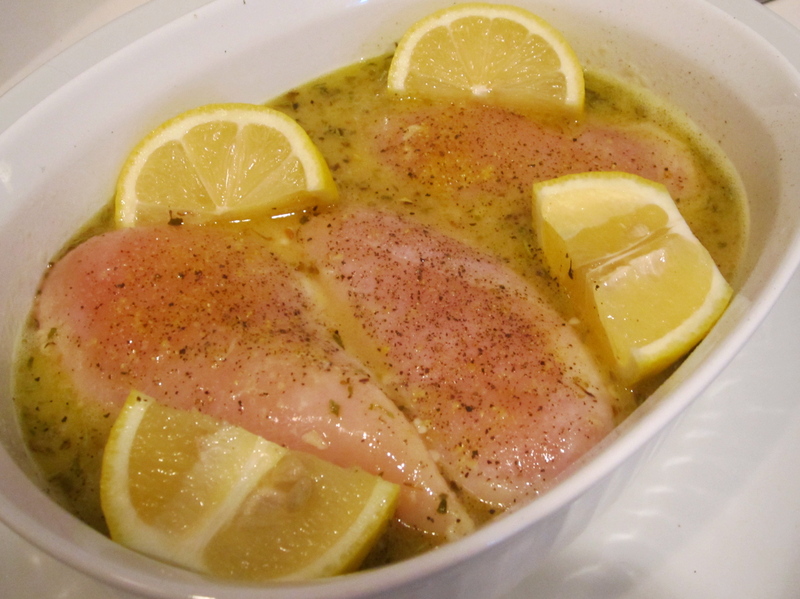 Drizzle the garlic lemon sauce on top of the slices of chicken and serve. Congrats to all you Giants fans out there for your victory on Sunday evening! We had a small Super Bowl get together and it was great! Husband believes that Super Bowl Sunday is even better than Christmas Day…I happen to disagree (Christmas is the bestest!!). Every year he invites his buddies over and they buckle down with chili, beer, and lots of junk food! This year, was no different. Those who know me, know that I love (understatement) baking. My friend Jess and I had so much fun making these and they turned out adorable! 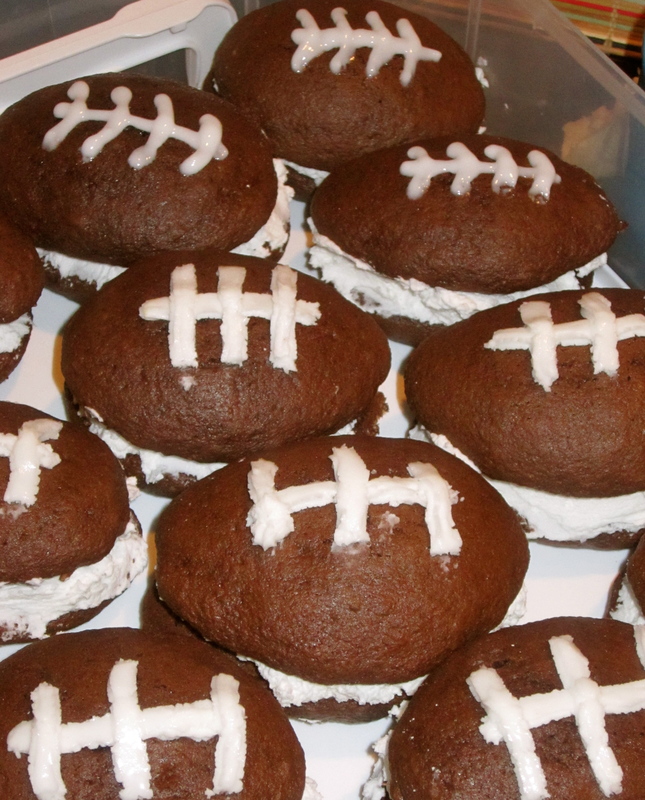 While I made these football shaped – they will be just as fantastic in any other shape! 4 cups sifted confectioners’ sugar (approximately 1 lb. 2. Start off by whisking together the eggs, vegetable oil, and water. 3. 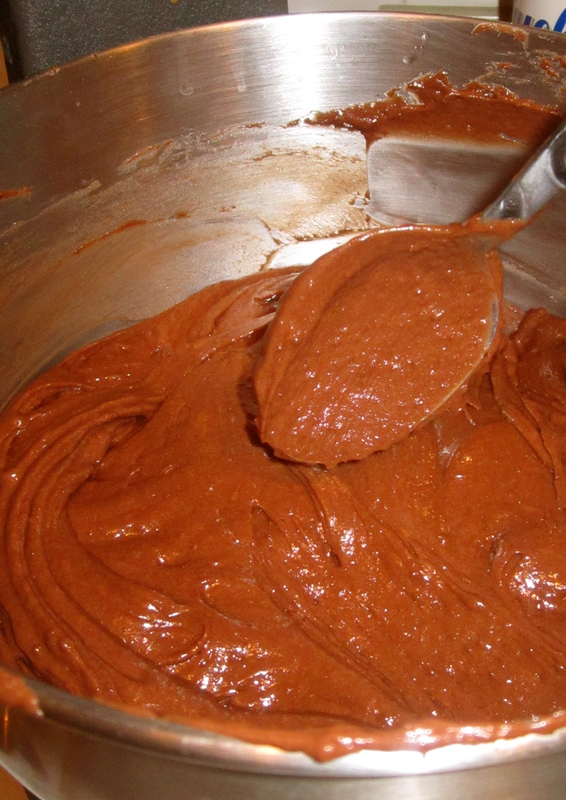 Then add the cake mix and stir well, until it is smooth and lump free. 4. Place spoonfuls of batter on baking sheet, be sure to keep each spoonful spaced apart as they will spread out. 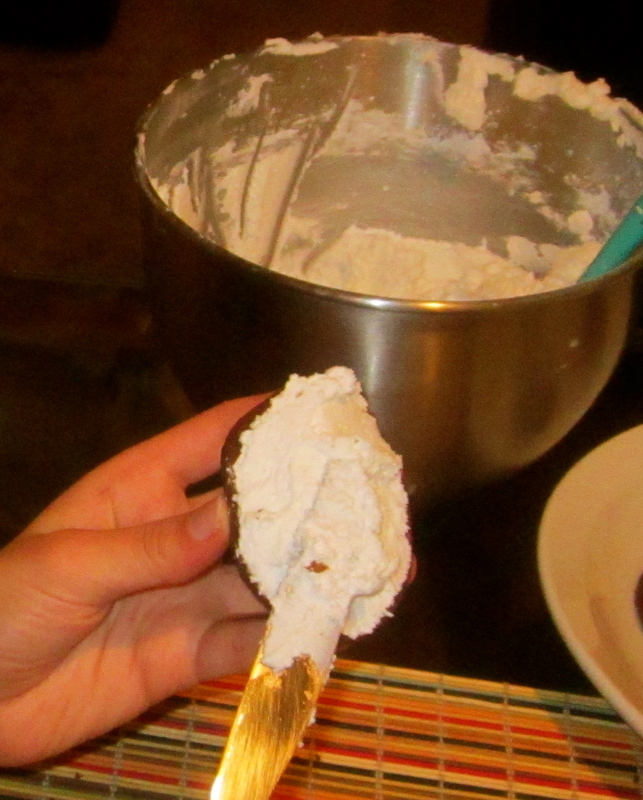 Use the back of a spoon or a butter knife to shape the batter in to a football shape. 5. Place in oven for 8-10 minutes. Take out of oven and allow to cool completely. 6. While you are waiting you can start making the buttercream icing. 7. With an electric mixer, soften shortening. 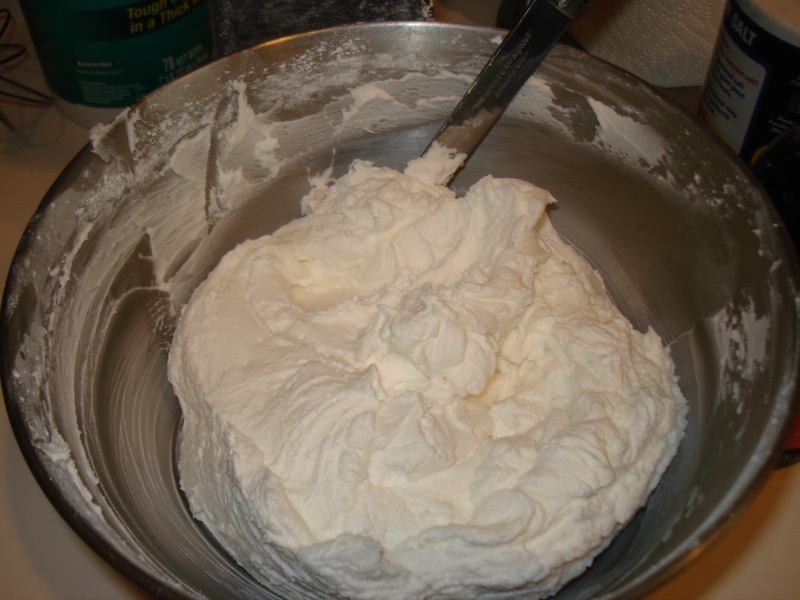 Add vanilla, butter flavoring, water (or milk), and merengue powder. Mix well. 9. 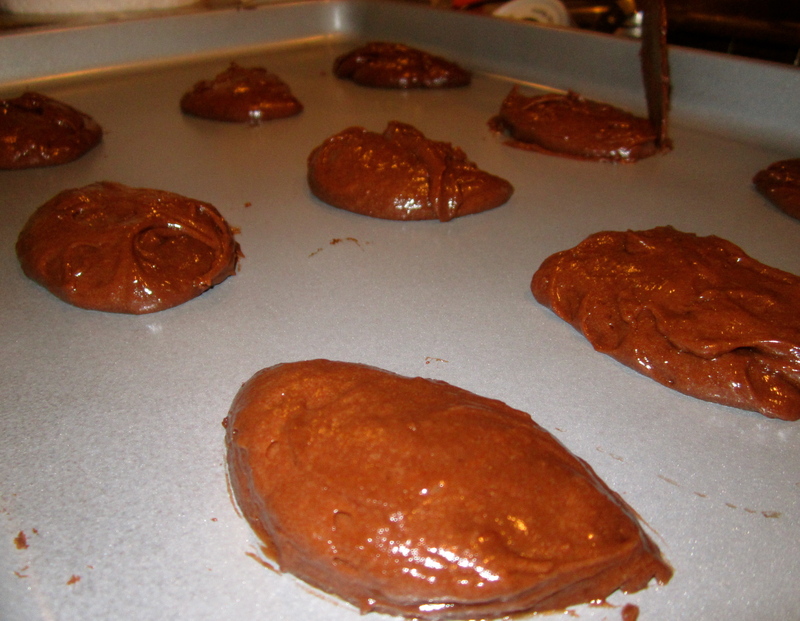 Once icing is made and whoopie’s are cooled, it’s time to assemble the whoopie pies! Place some icing on the underside of a football shaped cake. Place another cake on time and press down a little. 10. Decorate with laces using white decorating gel or by piping out remaining buttercream icing.